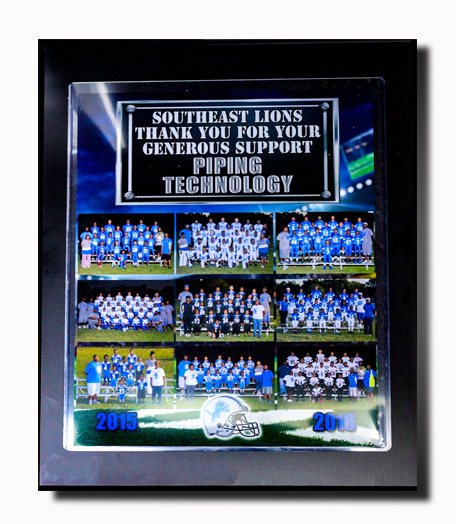 Piping Technology & Products, Inc. Sponsors the Southeast Lions Youth Football Organization for the 2015-2016 Season | Piping Technology & Products, Inc. The Southeast Lions Youth Football Organization, is a member of the Bayou City Youth Athletics Foundation, is a non-profit organization that has been in existence since 1995. This organization is committed to developing our communities’ youth socially and academically, as well as athletically. They have a “No Pass No Play” policy, in which the coach keeps in constant contact with the school. This is implemented in order to ensure that the children are keeping their grades and conduct in good standing.LETS GO LIONS! !